The purchase of Macs has increased recently, leading to a greater demand for support for Mac software among London companies and individuals. In January 2015 it was announced that Apple had sold more than 5.5 million Macs in the last quarter of 2014 alone – representing an impressive 14 per cent rise on sales for the same period in 2013. Over the same period, Apple announced the largest quarterly profit ever made by a public company. These figures are part of a continuing trend which has seen Apple Mac sales steadily growing even at a time when the PC market overall has seen some contraction. As a result, Apple now has its highest-ever share of the market, and there is a growing demand for security solutions among Mac users. Apple Support London Get in touch for information about our services. The Apple boom has been driven by the introduction of iPhones, which have been a huge success story in the smartphone market. Many people who started by buying these have then gone on to buy iPads, and then also chosen a Mac desktop or laptop. This is partly because users of the Apple operating system often prefer to use it on all their devices, so that iPhone and iPad are driving sales of Macs. One businesswoman told how the iPhone converted her to Apple products, commenting: "I had the iPhone for years, and bought an iPad this summer to help me keep up with emails outside the office. I liked the Mac interface so much that, when I had to replace my home computer, I went for an Apple laptop. "It is great because everything syncs up – contacts, diary, etc. I had always shied away from them before, thinking they were just for graphic designers etc, but now, when I upgrade my work computer, it is likely I will buy a Mac there too." Sales of Apple products have additionally been boosted by widespread public dislike of Windows 8 and 8.1, launched in October 2012, with the lack of a start menu being one of the most-criticised features. On a more positive note, another factor boosting sales is the excellent reputation of Apple computers, with the 13-inch Apple Macbook Air recently having been named by Laptop Mag as the best laptop on the market. One advantage of Macs is that they are less prone to viruses than PCs. This is partly because cyber-criminals have tended to concentrate their energies on Windows, and also because OS X, the Apple operating system, has built-in security features making viruses harder to spread. But, as Macintosh sales increase, there has also been a rise in the number of viruses being created to target their operating system. One recent report said that nearly 1,500 new malware programs had been detected over the past year aimed at Mac users, and new threats are constantly emerging. This means it is still important to have Mac anti-virus software, just as it is for a Windows PC. Here we take a look at the current Mac virus threat and how Mac users should tackle it. Various types of viruses exist for Macs, including Trojans, which can open the back door to hackers and enable passwords to be stolen. Another type of threat is "scareware", generating pop-up windows which urge users to buy useless software. One virus, WireLurker, is believed to have affected more than 350,000 Mac users in China during 2014. After gaining access on to a computer, it spread to any devices connected to it via USB, such as iPhones or iPads, stealing data along the way. Another recent virus, iWorm, allowed hackers to gain control of 17,000 machines, including many in the UK. Going further back, the Flashback Trojan affected more than 600,000 computers back in 2012, exploiting a vulnerability to gain control of computers. Since the threat to Macs from malware and viruses is growing, it is important for both London business owners and individual users to invest in a good quality anti-virus Mac software package, such as ESET. More than 100 million computer users worldwide rely on ESET to guard them against computer malware and viruses. ESET's NOD32 anti-virus for MAC OS X is designed for businesses and protects against both known and emerging malware. It is also a cross-platform product, removing any threats which could potentially spread from Macs to Windows machines. As well as giving effective protection, ESET's products are simple to use and optimised for high system performance. 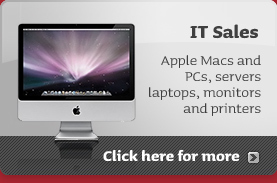 If you require effective anti-virus Mac software for your London business, call Macintosh specialist Them Digital. As authorised ESET resellers, we not only install software, but also provide a full support service. TDA can assist with all aspects of PC and Apple Mac support, maintenance and security. We offer contracts for telephone and remote computer support services as well as on-site support, networking installations and full system overhauls. Mac Software London – Follow the link to find out more about Them Digital's comprehensive computer and IT services.